Day two of Sibos continued the theme of collaboration, with more focus on standards, market infrastructures and new technologies under the spotlight. Here are some of the highlights from day two at Boston. High Standards: ISO 20022 adoption is a continuous hot topic that has been attracting crowds to the Standards Forum at Sibos. Despite the efforts by Swift to encourage wider adoption of the standard, it continues to be inconsistent, and is yet to be harmonised. Chantal Van Es, senior standards implementer, Swift, praised the SEPA initiative for 'leading by example', as well as the Canadian payments infrastructure which is currently going through an overhaul, with adopting ISO 20022 as a key component of this transformation. The RTGS systems of Singapore, China and India are pondering the adoption of the format. 'As the implementation does not happen overnight and it is a long process, community awareness and understanding is key,' stated Van Es. Being an open standard, ISO 20022 is open to modification by users, which helps to apply local and regional specifics. Van Es described the ISO 20022 model as an 'onion', i.e. layered. The outer layer is the broad ISO 20022 framework. The next layer is the global one – global standards and specifics. Then comes the regional specifics layer, and finally at the core are the specifics of an individual bank. However, this freedom and flexibility can create confusion and raise questions among the banks about what data should be included in the messages. 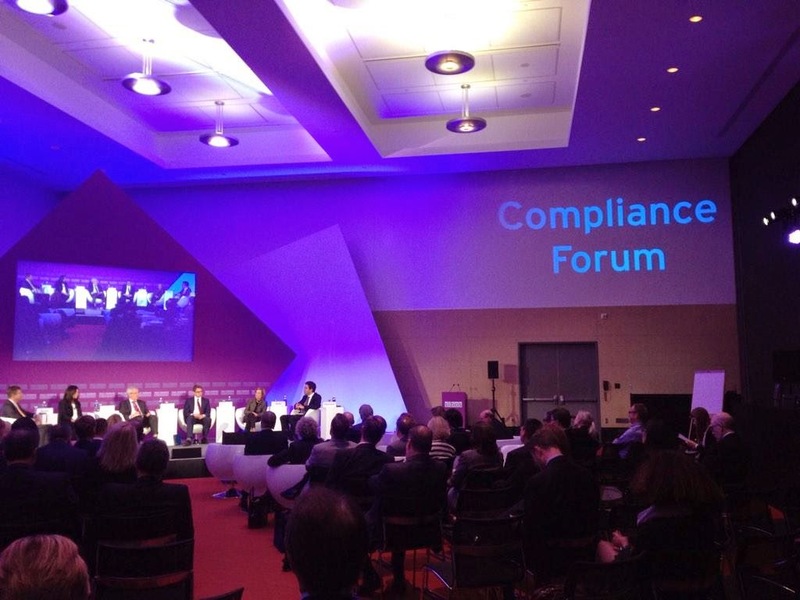 Following the Rules: Compliance has become increasingly prominent on the agendas of industry events, especially in light of the major fines handed down to the likes of BNP Paribas for transgressions related to Know Your Customer (KYC). Bob Werner, global head of financial crime compliance at HSBC, emphasised that for banks reputation is everything, and more is needed to be done to understand and comply with regulations. ‘Reputational harm to a financial institution is the greatest concern. Reputation is everything. It's the capital we depend on to attract customers,' he said. Another recurring theme was the lack of talent among compliance professionals, both among the banks and the regulators. One panellist sympathised with the regulators due to the high turnover in staff at the regulatory bodies, the fact that pay cannot compare with compliance professionals at banks, and the general lack of talent. This, ultimately, leads to poor and complex regulation, he opined. HSBC's Werner also suggested that there was a culture among compliance professionals of understanding how to comply with regulators demands, but not understanding the potential risks to banks, and he called for the major bodies to introduce more utility-type services, such as Swift's KYC registry, to the market to foster greater collaboration. An Open Community: The closing session of the Community Forum focussed on open source technology for banks (IBS will soon be covering this topic in-depth in the IBS Journal). There was a consensus among the panellists that open source systems were in vogue, and that banks should be more open-minded when considering using open source. Matteo Rizzi, partner at SBT Venture Capital, criticised banks for not taking enough risk, and bemoaned the fact that they do not utilise ‘sandbox' environments to test new products and experiment with open source technology. Mircea Mihaescu, director, IT strategy, at Sberbank Venture Capital, the new venture capital subsidiary set up by the Russian lender, responded by saying that it was exploring new opportunities via its incubator programme. Corina Mihalache, CEO at Allevo, the payments systems vendor which has ported its payments processing engine, qPayintegrator, to an open source environment, stated that back office systems were so commoditised that banks should not compete in this space. Instead, she proposed that they focus on differentiating at a customer level with new applications and user interfaces. However, during the Q&A session, the panellists were asked whether other back office processing platforms, such as core banking systems, could potentially be open source, with the response lukewarm. Panellist Radu Ghetea, CEO at Romania-based CEC Bank, said that the bank had recently embarked on a core system project, but had not considered the open source route as part of the process. Another member of the audience also raised concerns about the lack of support for some modules and components, which could dissuade banks from taking this route. Changing the Payments Playing Field: RBS and Capgemini unveiled their annual World Payments Report, now in its tenth year. The theme, unsurprisingly, was the converging of e-payments and mobile payments, and how this trend is changing the payments playing field. The mobile payments are projected to grow by nearly 61 per cent in 2015, predicts the report. Meanwhile, e-payments are predicted to have more moderate growth of around 16 per cent over the next year (less than previous years). As mobile payments are moving to the fore, RBS and Capgemini are calling on the industry to be prepared to support this and the innovative initiatives the payment segment brings. The rise of non-cash payments is particularly noticeable across the developing geographies, which contributed over half of last year's payment growth. However, in terms of volumes, their contribution remains relatively small: they make up just over a quarter of the 93 billion transactions. The report cites China as the market that is expected to have a boom in non-cash transactions in the coming five years and possibly even outpace the Eurozone and the US. RBS's MD of payments, William Higgins, commented that China is likely to become the largest market for non-cash transactions, and that the developing markets overall ‘represent a huge opportunity for the industry'. In the more established geographies, the report highlights Finland's leadership in non-cash payments. In 2012, Finland's growth in this area was 10.6 per cent, ahead of any other country in Europe and North America. Transactions per person per annum stood at 448.